We are seeking breast cancer survivors/thrivers (women or men) who are willing to share their story with the central Indiana community. 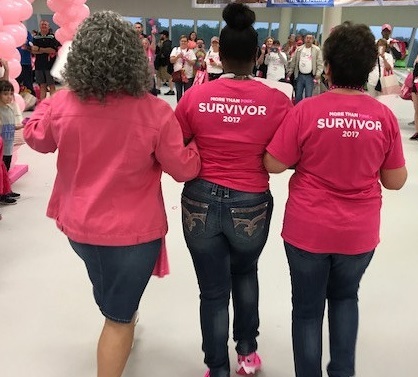 In preparation for the 2018 Susan G. Komen Central Indiana Race for the Cure®, we will select roughly 10 ambassadors who are breast cancer survivors/thrivers to represent our organization on a local level in the months and weeks leading up to Race through local media opportunities, community outreach events and by serving on the Race committee. You will also have the opportunity to connect and socialize with other Ambassadors. *Deadline to submit application is Wednesday, November 15, 2017. Selected Ambassadors will be notified by Friday, December 15, 2017. Get to know the 2017 Ambassadors.